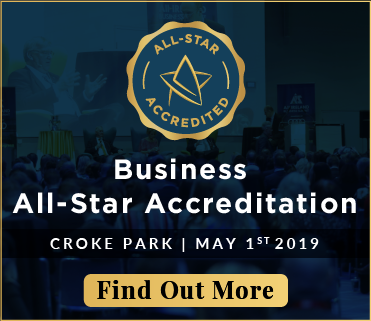 indigenous businesses based on rigorous selection criteria. Kieran Ring, CEO of the Global Institute of Logistics. long-term basis,” said Mr Ring. the benefit of both businesses and consumers. 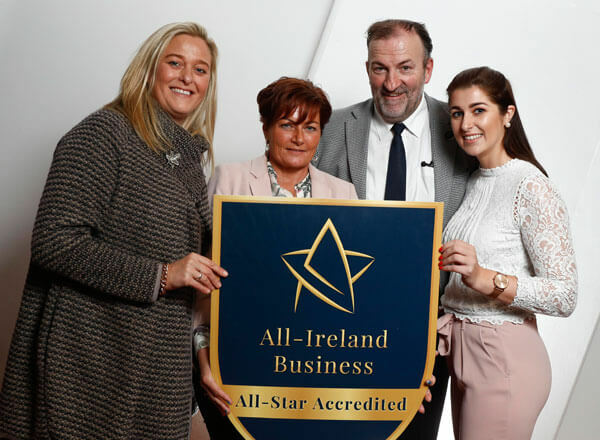 Star Awards, which this year attracted 800 entries from businesses nationwide. leaders who work together and openly share knowledge. 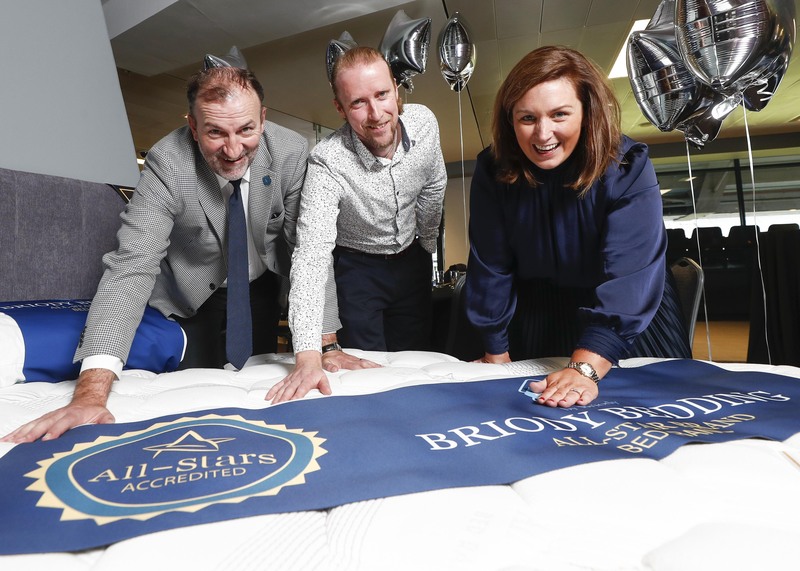 Star branded mattresses at the launch. be constantly measured,” said David Briody. 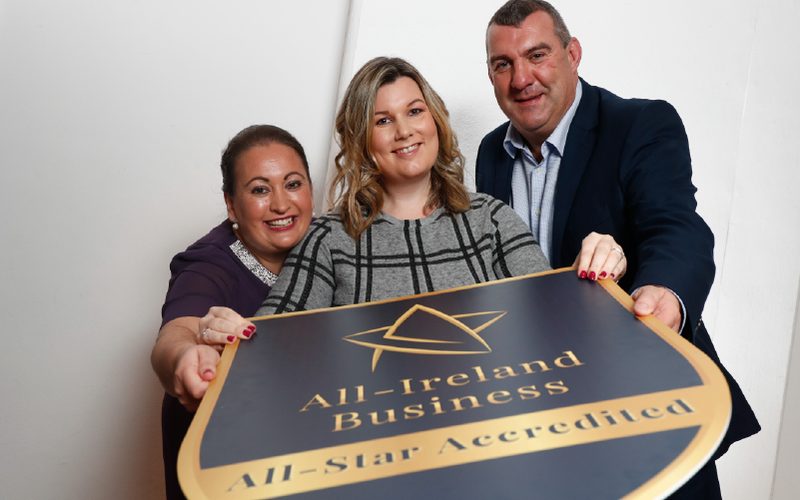 quality, according to Elaine Carroll of the Foundation. customers, many businesses use it as an external health check,” said Ms. Carroll. things that have the biggest impacts on vendors, suppliers, and customers. 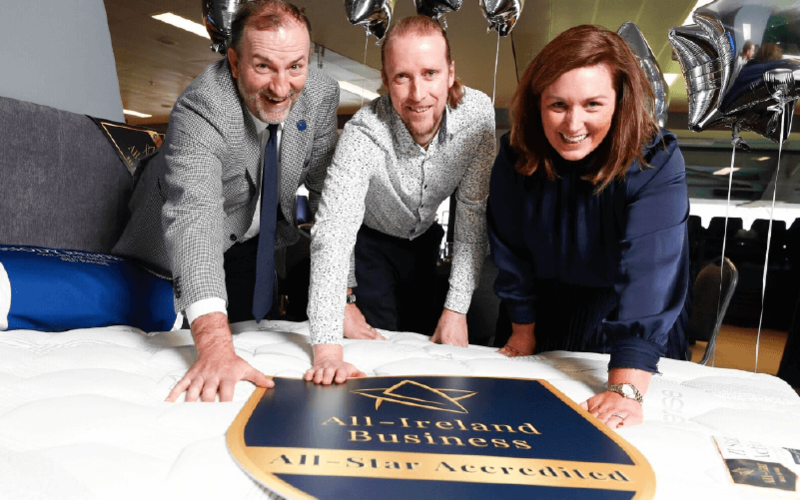 CAPTION: All-Ireland Business All-Star Awards winners Brid Gould from Comfort Keepers and David Briody from Briody Beds with Kieran Ring from the Global Logistics Institute at the launch of the All-Ireland Business All-Star accreditation at Croke Park.